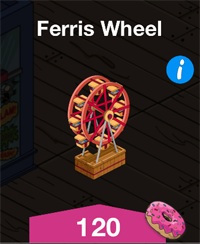 The Ferris Wheel earns $260 and 26XP every 10 hours. This may not be a lot but it contributes to your total cash pile, which is always welcome. The Ferris Wheel contributes 10 points toward your Consumerism rating. The Ferris Wheel is fun to look at. It doesn't just sit there taking place. You can interact with it and its animated. 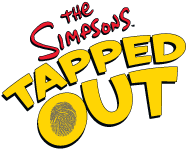 Remember that you can download the latest version of The Simpsons Tapped Out for Android or iOS by visiting DJ's Mobiles.